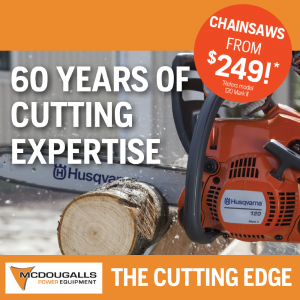 Pick up a 120i Kit for just $467 from McDougalls! Pick up a 120i Kit for just $467 from McDougalls! Kit includes Skin, BLi20 Battery and QC80 Charger. 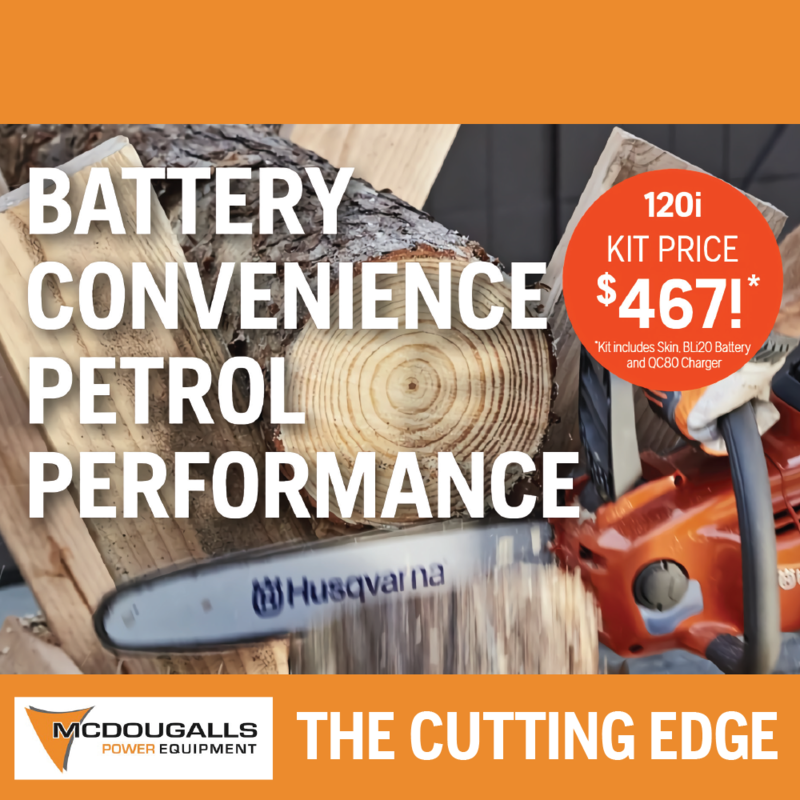 Get the convenience of a battery, but the power of petrol performance! McDougalls Power Equipment are the southern agent for Husqvarna Outdoor Products. The foremost world leaders in small engine technology. We have chainsaws, trimmers, brushcutters, hedgetrimmers, blowers, ride-on tractors, rider mowers, zero turn mowers, walk behind mowers and the present (not the future) robotic automowers all under the Husqvarna brand. They also have the Gardena range of watering and gardening solutions, Flymo for electric powered garden tools, and McCulloch to match or better hardware store prices, still with our advice, service and parts backup. They also cater for arborists stocking DMM, Teufelberger Silky Saws and other specialist equipment.